Over the last 3 decades, Dubai has grown at an unprecedented rate to transform from an oil-driven economy to an innovation-led business hub. And there’s good reason behind it. Owing to the government’s business-friendly policies and the progressive approach of the city, business setup in Dubai has flourished, making it one of the leading commercial regions in the world. Here’s listing the major factors behind the meteoric rise of the economy. The economy of Dubai has been kept open and free to attract business and investment. Government control and regulation of private sector activities have been kept to a minimum. There are no direct taxes on corporate profits or personal income. Customs duties are as low as 4%, full repatriation of capital and profits is permitted, and there are no foreign exchange controls, trade quotas or barriers. All this is augmented by the presence of over 30 free zones in Dubai alone, that foster industrial and commercial development in varied sectors like manufacturing, healthcare, education, media, entertainment, aviation, logistics, etc. Dubai is one of the most advanced cities in the world in terms of infrastructure. In fact, Dubai is ranked very high for infrastructure investment attractiveness. UAE has specialized free zones of international distinction, world-class seaports, a major international airport, a modern highway network, cutting-edge telecommunications and reliable power and utilities. In addition, it houses shipping companies, international hotels, banks and financial service firms, lawyers, accounting firms, consultants, advertising agencies, aesthetic office spaces and residential accommodation, premier hospitals, schools, shopping centers and recreational facilities. Dubai is situated midway between Africa and CIS (Commonwealth of Independent States) countries, and Europe and the Far East. It is served by over 120 shipping lines and linked via 85 airlines to over 130 international destinations. Consequently, it is conveniently accessible from anywhere in the world. 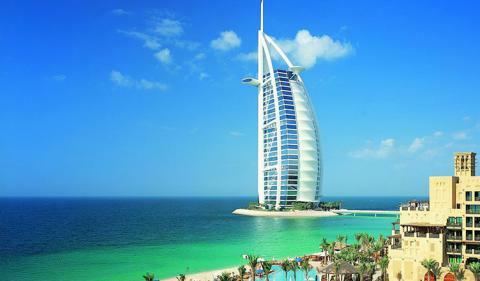 Dubai is part of the UAE, which is a low-crime and politically stable country. It enjoys financial and monetary stability owing to a well-developed, sophisticated banking system featuring extensive credit facilities and abundant liquidity. The UAE government has a long, consistent commitment to business and liberal economic policies. Also, it has a sound legal framework for business and a well-defined set of ownership rules. Dubai is a hotspot of industrial and commercial development. It is riding on the wave of the future to grow as a favorable foreign direct investment (FDI) destination hand in hand with sustainable progress. Should you decide to open a business in Dubai, do contact us, even if it’s just for a friendly advice. We at Business Setup Worldwide have our team of experts to help you with company formation, registration, and counseling. Daria is a marketer turned blogger, who secretly wishes she were an eagle. She loves to travel, discover new places and meet new people. Her dream is to visit every country on the planet, and then proceed to underwater exploration, all said and done.